Some of the most fun you’ll have with your kids is based on the imagination. You’ve probably heard about imaginary friends. You may have even had a couple when you were a child. That was an act of using your imagination and creativity! As your little ones get older, they’ll show you different ways in which they may use their own senses of imagination. You will find that there are some great aspects to how your little ones show their creative abilities. But, what exactly is the importance of imagination? 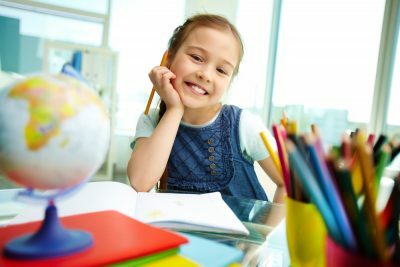 Why do we often see children using their imaginative abilities? How can you, as a parent, foster and nourish your child’s imagination and creativity in a healthy and helpful way? Imagination is defined as the mind’s ability to think creatively. So, right away, we can see that imagination and creativity are interconnected. The imaginative thinking of a child is quite intriguing. It’s what allows your child to get the most out of a playing experience. It’s what gives him or her the change to get creative. The imagination can also be considered as the ability to form a mental image of something you’ve never experienced before. It’s the action of forming mental pictures of things you’ve never even seen. Imagination and creativity are ways in which we basically create new experiences for ourselves. You can see these two elements of child development in action during normal, everyday child’s play. Think about the dolls and toys your kids play with. Think about dress up games, role-playing, tea parties, and so forth. When your children interact through these types of activities, they are getting involved with the idea of creating a new experience for themselves. They’ve never driven a truck or fed a baby. Yet, even at their young ages, they use their resources and their own creativity to form a new way of participating with their world. Through simple occurrences like this, your children show you how amazing their imaginations really are! Let’s talk a bit about why imagination and creativity are important parts of your child’s development. Firstly, having a sense of imagination is great for cognitive development. As your child grows and learns, you will see him or her start to use her knowledge in ways that help solve problems. If a person able to think creatively, it’s more likely that the person will be able to think critically about a situation. Children experiment with solutions to their problems by using their creative cognitive activity. Imagination can also help your kids in the area of social development. It allows them to better interact and communicate with their peers. When kids are able to use their imaginations, they can work well with other little ones. They’ll invent games together, come up with activities to do, and gain a better understanding of one another. Ivy Prep and Your Creative Kids! Here at Ivy Prep Early Learning Academy, we actively engage children in creative and imaginative learning activities. We know just how much of a role these two characteristics play in your child’s growth and development. Our goal is to inspire and urge every child in our facilities to progress in these areas. So, we work to make sure your children have a safe and fun environment where they can do just that. If you think that your family can benefit from our child care services, just give us a call today!